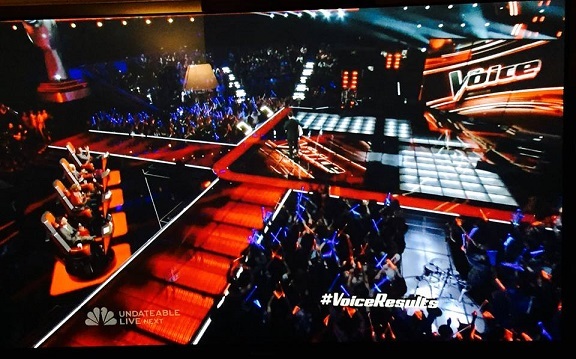 Image Credit: Live video screenshot, The Voice. Drumsticks for Marketing - Drum Bum is proud to have been the supplier for custom drumsticks that marketed the artist Daughtry in 2018. Other recent clients include the US Army and Grant's Historical Lounge in Atlanta, GA. The Voice ... had a great idea to use light up drumsticks to give to the crowd and compliment the singer and the artistic message of the song. This was brilliant and a great visual effect! Promotional Drumsticks - Buy promotional drumsticks for your event. Call 1 -800-273-1353 for more information and price quotes. Weighted Drumsticks - Drum Bum creates weighted drumsticks featuring more weight and comfort grips for practicing / warming up on the practice pad. Christian Drumsticks, otherwise known as Fishstix Drumsticks, arrive on the market. See the banner below and visit DrumBum.com to purchase. Workout Drumsticks are all the rage. Those that want to get in shape now have a new way to exercise. They can pound their way to a healthy body with fitness drumsticks for workouts. Soft Stix Drum Sticks - Made with a soft coating the new Soft Stix drumsticks, are ideal for practicing just about anywhere. Powerband Drumsticks by Wedgie - Wedgie, the makers of Anti-Vibe Shox for drumsticks, bring you the all new Powerband Drumsticks. The powerband is a patent-pending design that provides elimination from shock as well as assigning a specific color to the sticks (color coding) making it easier to find the drumsticks in your stick bag. What a novel idea! Custom Drumsticks - We now have custom drum sticks available. Get custom sticks with your name on them! High quality, laser-engraved sticks with your name or band logo or save with imprinted drumsticks. Hiptrix Drumsticks - Hiptrix Drumsticks are being redesigned to glow even brighter with more consistency. Stay tuned for more information as the new hiptrix glow in the dark drumsticks are released. Supersticks! - It's a bird, ... I'ts a plane, ... It's SUPERSTICKS! These revolutionary new drumsticks will make you rethink your choices, and how the drumstick plays such a vital role in your overall sound. Rock Band Drumsticks - Rock Band drumsticks for the popular Rock Band Game. 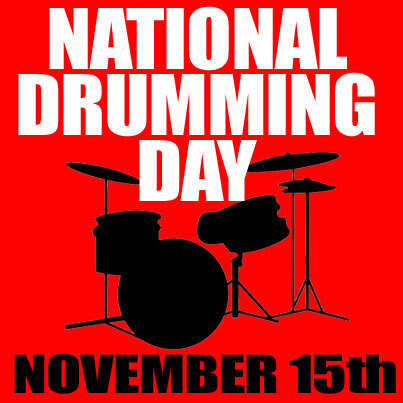 National Drumming Day is November 15th. Consider a custom pair of drumsticks for your favorite drummer! Visit DrumBum.com for more ideas as they specialize in unique gifts and accessories for drummers. Get the latest news on drumsticks at Drumsticks.org. From wholesale sticks to blanks or even custom drumsticks with a band or company logo, we represent numerous differents types and styles. The latest fad in exercise is workout drumsticks. Unless you've been living under a log, you've by now heard of aerobic exercise classes that incorporate weighted drumsticks into a drumming workout routine. Drumsticks and pounding out rhythms make it fun. Weighted drumsticks make it burn! DRUM BUM now has workout drumsticks that feature soft rubber ends for better gripping. - Call 1-800-378-6286 for more information. Need used drumsticks for an art project? We often have those too! Or, we might have mismatched drumsticks that we can sell at a low price. Simply call us at 1-800 DRUM BUM (378-6286).